On March 25th members of the Midwest Early Years Network (MEYN) met for the first 2019 Chat and Chomp, a networking lunch hosted by the Community Initiatives Team at Desert Blue Connect. The members, from various organisations connected with youth, enjoyed a light lunch while joining in with activities that were themed around child safety and children’s rights. 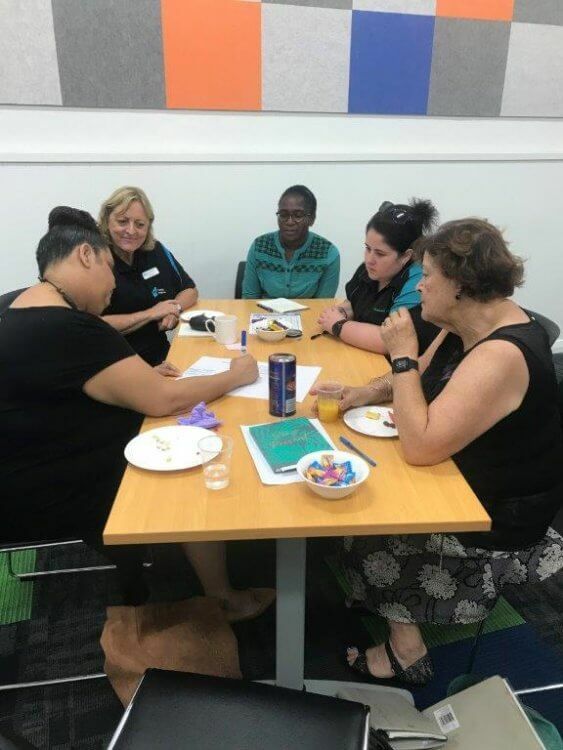 Activities were facilitated throughout the lunch meeting with organisations working together to discuss what they thought was working and what needed to improve safety for families and children in our community. Participants’ feedback from the event was positive and attendees enjoyed learning about the other organisations in attendance and how knowledge sharing could improve all of their work. It was particularly beneficial to brainstorm what local organisations were doing well and what was in need of improvement around the topic of children’s rights, such as “the right to have fun” and “the right to be heard”. The groups came up with some great examples of how networking meetings are beneficial to working for a safer community. There were many discussions around the tables full of thoughts, ideas and strategies on how we can work together for a safer future for our children and young people. More Chat and Chomps are scheduled throughout the year and are hosted by different organisations who are participate in the MEYN and who work together to provide a safer community for our children and young people.